These gentle exfoliating cotton wipes are perfect for cleansing skin during facials or before waxing and removing makeup or oils. 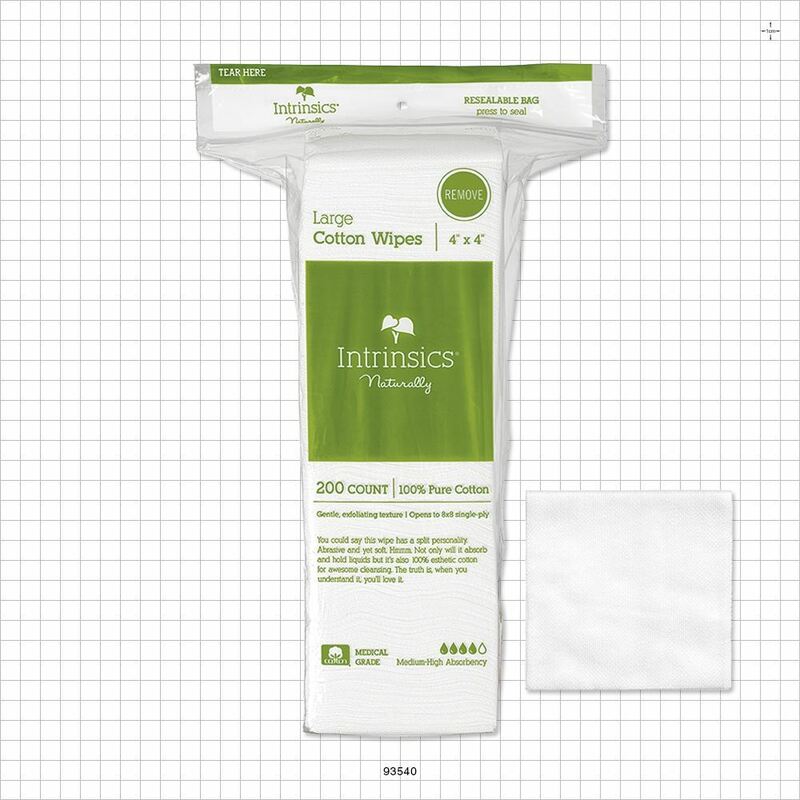 These medium-high absorbency wipes are biodegradable, hypoallergenic and are made with 100% medical grade cotton. Opens to 8x8 single-ply. MADE IN USA. 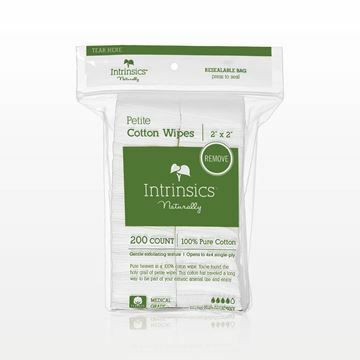 Intrinsics® Cotton Naturelles™ are 100% pure, medical grade cotton that can be used wet or dry for facial cleansing, make-up removal, nail polish removal, applying lotions, creams and astringents. These medium-high absorbency dual textured rounds are quilted on one side and smooth on the other. 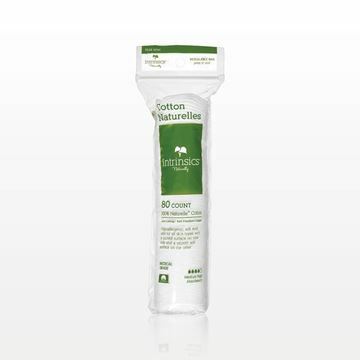 The hypoallergenic, low-linting cotton provides a gentle and safe result on all skin types. MADE IN USA. 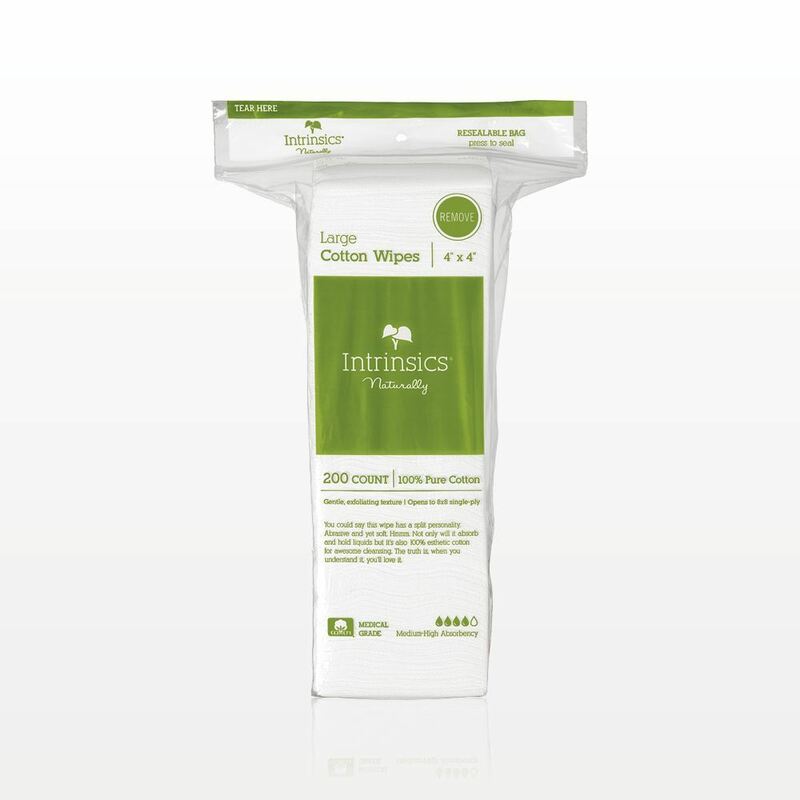 These gentle exfoliating cotton wipes are perfect for cleansing skin during facials or before waxing and removing makeup or oils. 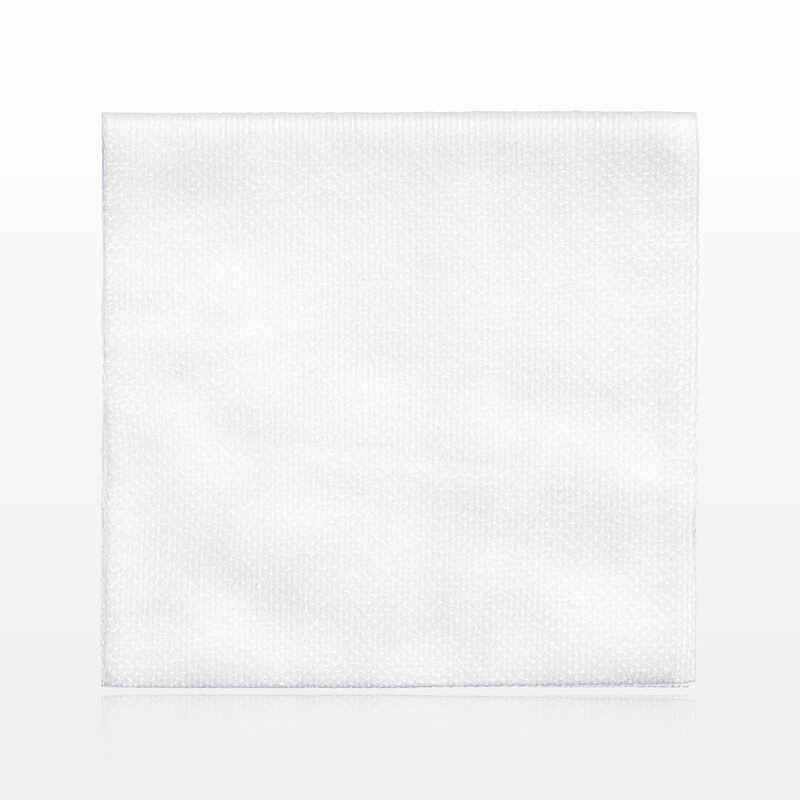 These medium-high absorbency wipes are biodegradable, hypoallergenic and are made with 100% medical grade cotton. Opens to 4x4 single-ply. MADE IN USA. Dose out small amounts of creams or lotions while preventing air from entering into the product with this elegant 30 ml platinum airless jar with silver trim and clear cap. 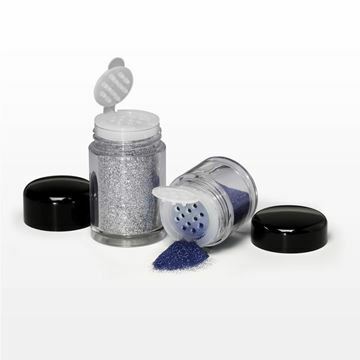 This item is part of our platinum airless collection.